The second meta on Top 20 pop is Russians. 7 alliances on Top 20. CerberR Top 4 pop. rank 9 off and rank 72 def. Russians usually have a special ally or two to farm and conquer villages, Here is it Цербер and Цербер Х. The rest is from Turks and some arabs. Cerber Top 5 pop, rank 42 off and 35 def. Friendly chiefings from Цербер in top and the rest implies a border war with NE. [U] Top 7 pop, rank 10 off and rank 11 def. Turks was primary target and Arabs second. BАD Enola Top 11 pop, rank 28 off and rank 24 def. Friendly chiefings but also Turks and Arabs. BAD Enola (I haven’t figured out how they manage to get the same ally tags yet) Top 12 pop, rank 6 off and 36 def. Mix between friendly chiefings and Turks. 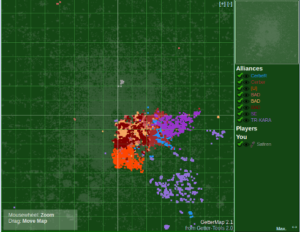 SE, Swedish ally, Top 14 pop, rank 19 off and 29 def. 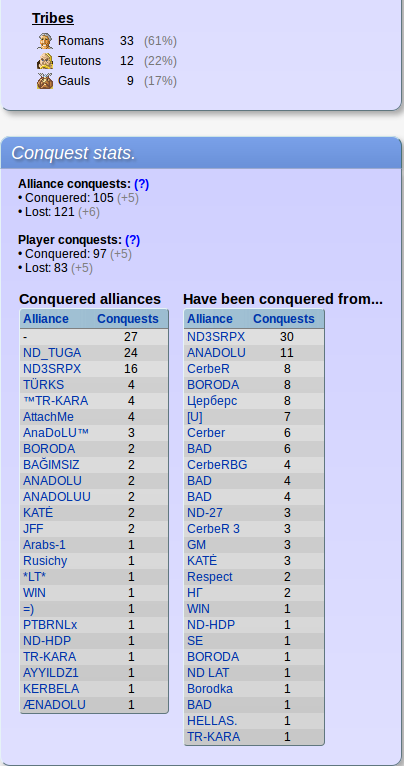 A low amount of conquers, Turks and Chinese in top. Unusual with most teutons in ally. 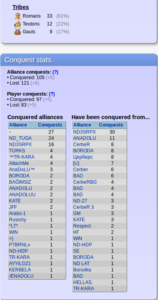 I wondered what happen with Turks and found the first Turkish ally on rank 30 pop, they move out. Rank 32 off and rank 48 def. Conquered villages from Arabs but lost more.